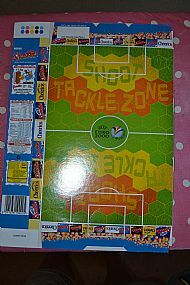 State of the art cereal box football game. 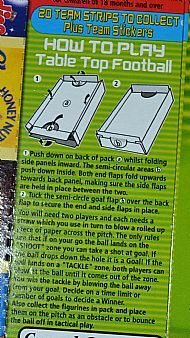 Great gameboard plus top of the range plastic playing figures. Classic cereal box game but with superb plastic figures to collect. 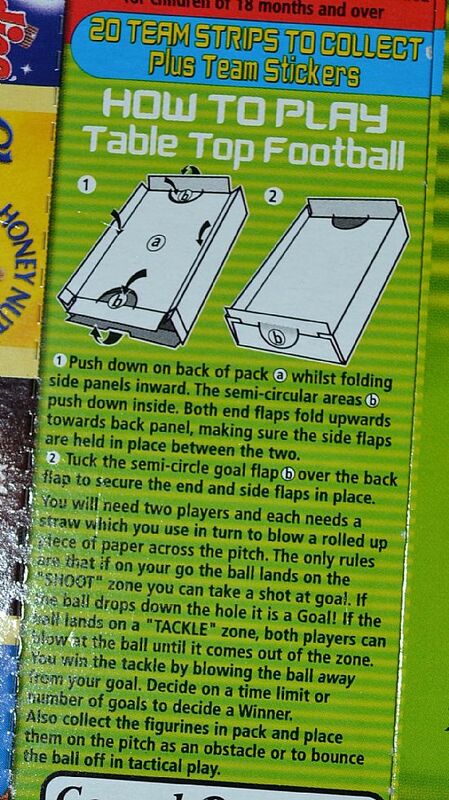 Cut out and glue the box to make your playing pitch. Four different poses in 14 different kits! 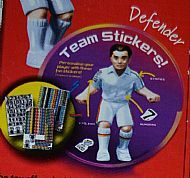 Here are the different team kits to collect.